Every bride envisions her wedding day look that is uniquely her own. Our bridal makeup artist,Robin Macloon, is an extremely talented artist that will give you personal attention and create a look that is your vision. You will be off to your wedding feeling flawless and radiant. 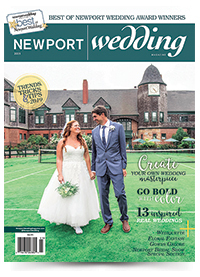 Visit us at OceanCliff booth #20 at the 14th Annual Newport Bridal Show on February 20,2016. And don't miss our latest Hair and Makeup styles on the OceanCliff models during the 12:00 noon and 2:30 pm fashion shows. See you there! Complete the form below to send Hair Heart and Soul Spa & Salon an e-mail message.